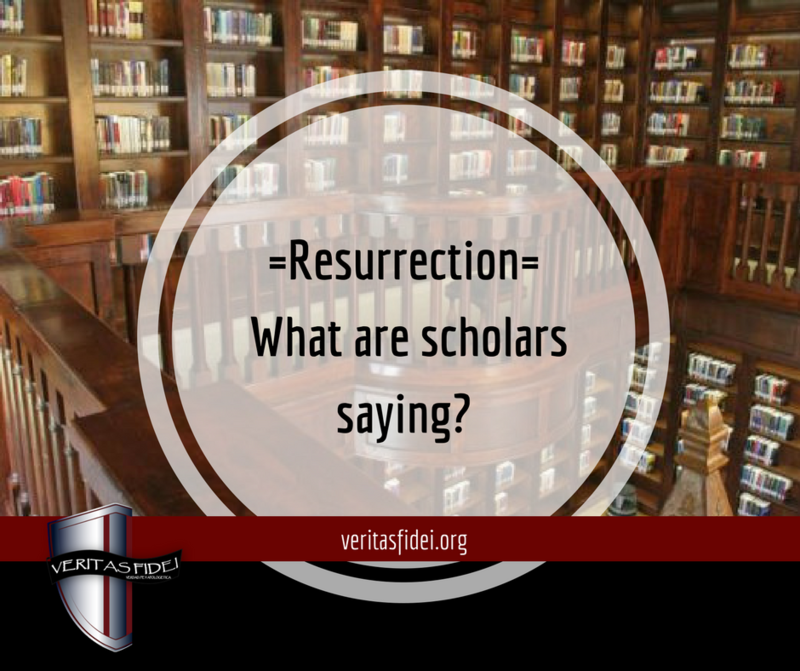 Resurrection: What are Scholars Saying? Dr. Gary Habermas has coined a method to show the historicity of the resurrection of Jesus called “The Minimal Facts” approach to the resurrection. The vast majority of scholars accept these facts as historical. They are well established by the historical method. The only explanation that can account for the existence of all these facts is the bodily resurrection of Jesus. The disciples had experiences that they thought were actual appearances of the risen Jesus. The disciples were thoroughly transformed, even being willing to die for this belief. The apostolic proclamation of the resurrection began very early, when the church was in its infancy. James, the brother of Jesus and a former skeptic, became a Christian due to an experience that he believed was an appearance of the risen Jesus. Saul (Paul), the church persecutor, became a Christian due to an experience that he believed was an appearance of the risen Jesus. Habermas knows this because he has traced about 3400 sources including atheist, agnostic, and other critical scholars in French, English and German. Often when I talk to skeptics, I am challenged to provide these sources. This brief serves to show a representative sample of these sources (also see below for another related list). Taken from Risen Jesus and Future Hope by Dr. Gary Habermas. Rowman & Littlefield Publishers, Inc. 2003. Sons, 1951, 1955), 1:44-46, 52, 60, 80-83. Paul Tillich, Systematic Theology, 3 vols. (Chicago: University of Chicago Press, 1957), 2:153-58. Gunther Bomkamm, Jesus of Nazareth, trans. Irene and Fraser McLuskey with James M. Robinson (New York: Harper and Row, 1960), 179-86. Helmut Koester, Introduction to the New Testament, 2 vols. (Philadelphia: Fortress Press, 1982), 2:84., 2:84-86, 100. Karl Barth, Church Dogmatics, 13 vols., ed. G. W. Bromiley and T. E Torrance (Edinburgh: T. and T. Clark, 1961), vol. 4, part 1,334-36,351-53. Emil Brunner, Dogmatics, 3 vols., trans. Olive Wyon (Philadelphia: Westminster Press, 1950-79), 2363-78. Jürgen Moltmann, Theology of Hope: On the Ground and the Implication of a Christian Eschatology, trans. James W. Leitch (New York: Harper and Row, 1967), 165-66, 172, 197-202. H. Dodd, “Appearances of the Risen Christ: An Essay in Form-Criticism of the Gospels,” in More New Testament Essays (Grand Rapids, Mich.: Eerdmans, 1968), 124-25, 13 1-33. Norman Perrin, Resurrection according to Matthew, Mark, and Luke (Philadelphia: Fortress, 1977), 78-84. John A. T. Robinson, Can We Trust the New Testament? (Grand Rapids, Mich.: Eerdmans, 1977), 113-29. Reginald H. Fuller, Formation of the Resurrection Narratives, rev. ed. (Philadelphia: Fortress Press, 1980), 27-49. Michael Grant, Jesus: An Historian’s Review of the Gospels (New York: Scribner, 1977), 174-79. Wolfhart Pannenberg, Jesus: God and Man, 2nd ed., trans. Lewis L. Wilkins and Duane A. Priebe (Philadelphia: Westminster Press, 1977), 88-106. Ulrich Wilckens, Resurrection: Biblical Testimony to the Resurrection: An Historical Examination and Explanation, trans. A. M. Stewart (Edinburgh: Saint Andrew Press, 1977), 6-16, 112-14. Joachim Jeremias, “Easter: The Earliest Tradition and the Earliest Interpretation,” New Testament Theology: The Proclamation of Jesus, trans. John Bowden (New York: Charles Scribner’s Sons, 1971), 300-311. Wemer Georg Kummel, The Theology of the New Testament: According to its Major Witnesses: Jesus-Paul-John (Nashville: Abingdon Press, 1973), 102-5. Raymond E. Brown, The Virginal Conception and Bodily Resurrection of Jesus (New York: Paulist Press, 1973), 80-82, 128. Leonard Goppelt, “The Easter Kerygma in the New Testament,” in The Easter Message Today, 35-37, 43-53. Elaine Pagels, The Gnostic Gospels (New York: Random House, 1979), 3-12. Marcus Barth and Verne H. Fletcher, Acquittal by Resurrection (New York: Holt, Rinehart and Winston, 1964), part 1 (Barth), 11-15,37-39. William Wand, Christianity: A Historical Religion? (Valley Forge, Pa.: Judson Press, 1972) 51, 59, 84, 93, 108. M. Hunter, Jesus: Lord and Saviour (Grand Rapids, Mich.: Eardmans, 1976), 98-107. M. Ramsey, The Resurrection of Christ (London: Collins, 1961), 35-45. T. Jones, A History of Western Philosophy, 5 vols, 2nd ed., (New York: Harcourt Brace Jovanovich, 1969), 2:34-35, 39. George Eldon Ladd, I Believe in the Resurrection of Jesus (Grand Rapids, Mich.: Eerdmans, 1975), 36-43, 93, 109-11. Helmut Thielicke, “The Resurrection Kerygma,” in The Easter Message Today, trans. Salvator Attanasio and Darrell Likens Guder (London: Thomas Nelson, 1964), 59-62, 86-91. Grant Osborne, The Resurrection Narratives: A Redactional Study (Grand Rapids, Mich.: Baker Books, 1984), 231-33, 276-77, 281-88. Pheme Perkins, Resurrection: New Testament Witness and Contemporary Reflection (Garden City, N.Y.: Doubleday, 1984), 84-95, 196-210. Howard Clark Kee, What Can We Know about Jesus? 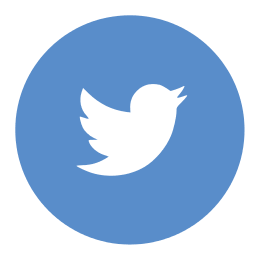 (Cambridge: Cambridge University Press, 1990),1-2,21-23,60-61,85-86,90. Thomas Sheehan, The First Coming: How the Kingdom of God Became Christianity (New York: Random House, 1986), 101-18. Paul Barnett, Jesus and the Logic of History (Grand Rapids, Mich.: Eerdmans, 1997), 115-34, 159-61. William Lane Craig, Assessing the New Testament Evidence for the Historicity of the Resurrection of Jesus (Lewiston, N.Y.: Edwin Mellen Press, 1989), 36-38, 53-82, 163-96, 379-420. P. Sanders, The Historical Figure of Jesus (London: Penguin Books, 1993), 10-13, 125-26, 133-36, 277-81. Gerald O’Collins, Jesus Risen: An Historical, Fundamental and Systematic Examination of Christ’s Resurrection (New York: Paulist Press,1987), 99-147. Luke Timothy Johnson, The Real Jesus (San Francisco: Harper San Francisco, 1996), 110-22, 133-36. John Shelby Spong, Resurrection: Myth or Reality? (San Francisco: Harper San Francisco, 1994), 47-56, 239-43, 255-60. John Drane, Introducing the New Testament (San Francisco: Harper and Row, 1986), 77-107. Robert Funk, Honest to Jesus (San Francisco: Harper San Francisco, 1996), 33-40, 260, 267-7. Murray Harris, Raised Immortal: Resurrection and Immortality in the New Testament (Grand Rapids, Mich.: Eerdmans, 1983), 5-11, 60. Gerd Ludemann y Alf Ozen, What Really Happened to Jesus: A Historical Approah to the Resurrection, trans. John Bowden (Louisville, Ky.: Westminster John Knox Press, 1995), 9-7, 102-5, 125-34. Thonvald Lorenzen, Resurrection and Discipleship: Interpretive Models, Biblical Reflections, Theological Consequences (Maryknoll, N.Y.: Orbis Books, 1995), 13 1-36, 141-44, 184-87. Neville Clark, Interpreting the Resurrection (Philadelphia: Westminster Press, 1967), 89-101. Paul L. Maier, In the Fullness of Time: A Historian Looks at Christmas, Easter, and the Early Church (San Francisco: Harper San Francisco, 1991), 164-88, 204-5. John Dominic Crossan, The Historical Jesus: The Life of a Mediterranean Jewish Peasant (San Francisco: Harper Collins, 1991), 372-75, 397-98. John Dominic Crossan, Jesus: A Revolutionary Biography (San Francisco: Harper Collins, 1994), 135, 145, 154, 165, 190. Stephen T. Davis, Risen Indeed (Grand Rapids, Mich.: Eerdmans, 1993), 15, 177-85. Bart D. Ehrman, Jesus: Apocalyptic Prophet of the New Millennium (New York: Oxford University Press, 1999), 227-31. John Meier, A Marginal Jew: Rethinking the Historical Jesus, 3 vols. (New York: Doubleday, 1987-2001), 3:67-71, 146-47, 234-35, 251-52, 625. J. M. Wedderburn, Beyond Resurrection (Peabody, Mass. : Hendrickson, 1999), 4-15,47, 113-17, 188. T. Wright, The New Testament and the People of God (Minneapolis: Fortress Press, 1992), 111,353-54,400-401. T. Wright, Jesus and the Victory of God, vol. 2 of Christian Origins and the Question of God (Minneapolis: Fortress Press, 1996), 109-12, 480,487,551-52,659. Another related list is a sample of scholars, again, including atheists, agnostics, and other non-Christians who believe that the disciples had experiences that led them to conclude that they had appearances of the Risen Jesus, whether or not this happened. Helmut Koester, Introduction to the New Testament, 2 vols. (Philadelphia: Fortress Press, 1982), 284. Michael Goulder, “The Baseless Fabric,” in Resurrection Reconsidered, ed. Gavin D’Costa (Oxford: Oneworld Publications, 1996), 48. Marcus Borg, “Thinking about Easter,” Bible Review 10 (1994): 15. John Dominic Crossan, Jesus: A Revolutionary Biography (San Francisco: Harper Collins, 1994), 190. Robert Funk, Honest to Jesus (San Francisco: Harper San Francisco, 1996), 40, 266. Roy W. Hoover, “A Contest between Orthodoxy and Veracity,” in Jesus’s Resurrection: Fact or Figment, 131, 92-97, 111, 141. Rudolf Pesch, The Resurrection of Jesus as History 47“Zur Entstehung des Glaubens an die Auferstehung Jesu: Ein neuer Versach,” Freiburger Zeitschrift fur Philosophie und Theologie 30 (1983): 87. Anton Vogtle in Vogtle and Rudolf Pesch, Wie kam es zum Osterglauben! (Dusseldorf, Germany: Patmos- Verlag, 1975), 85-98. John Galvin, “Resurrection as Theologia Crucis Jew: The Foundational Christology of Rudolf Pesch,” Theological Studies 38 (1977): 521-23. Hans Conzelmann, I Corinthians (Philadelphia: Fortress Press, 1975), 258-66. Norman Perrin, The Resurrection according to Matthew, Mark, and Luke (Philadelphia: Fortress, 1977), 80-83. Gerd Ludemann in collaboration with Alf Ozen, What Really Happened to Jesus: A Historical Approach to the Resurrection, trans. John Bowden (Louisville, Ky.: Westminster John Knox Press, 1995), 37, 50, 66. Jack Kent, The Psychological Origins of the Resurrection Myth (London: Open Gate Press, 1999), 18-19. James Keller, “Response to Davis,” Faith and Philosophy 7 (1990): 114. Hans Werner Bartsch, “lnhalt und Funktion des Urchristlichen Osterglaubens,” New Testament Studies 26 (1980): 180, 194-95. James M. Robinson, “Jesus from Easter to Valentinus (or to the Apostles’ Creed),” Journal of Bibilical Literature 101 (1982): 8, 20. A. Wells, Did Jesus Exist? (London: Pemberton, 1986), 32, 207. Michael Martin, The Case against Christianity (Philadelphia: Temple University Press, 1991), 83, 90. John Shelby Spong, The Easter Moment (San Francisco: Harper and Row, 1987), 51-53, 173. Thomas Sheehan, The First Coming: How the Kingdom of God Became Christianity (New York: Random House, 1986), 91. K. Elliott, “The First Easter,” History Today 29 (1979): 209-10, 220. J. M. Wedderburn, Beyond Resurrection (Peabody, Mass. : Hendrickson, 1999), 47, 188. Karl Rahner, Foundations of Christian Faith: An Introduction to the Idea of Christianity, trans. William V. Dych (New York: Seabury Press, 1978), 265, 277. Wolfhart Pannenberg, “Die Auferstehung Jesu: Historie und Theologie,” Zeitschrift fur Theologie und Kirche 91 (1994): 320-23. Jurgen Moltmann, Theology of Hope: On the Ground and the Implications of a Christian Eschatology, trans. James W. Leitch (New York: Harper and Row, 1967), 172-73. Raymond E. Brown, The Virginal Conception and Bodily Resurrection of Jesus (New York: Paulist Press, 1973), 125-29. James D. G. Dunn, The Evidence for Jesus (Louisville, Ky.: Westminster Press, 1985), 75. Luke Timothy Johnson, The Real Jesus (San Francisco: Harper San Francisco, 1996), 136. Walter Kasper, Jesus the Christ, new ed., trans. V. Green (Mahweh, N. J. Paulist Press, 1976), 124-25. Stephen T. Davis, Risen Indeed (Grand Rapids, Mich.: Eerdmans, 1993), 182. E.B Cranfield, “The Resurrection of Jesus Christ,” Expository Times 101 (1990), 169. Hugo Staudinger, “The Resurrection of Jesus Christ as Saving Event and as ‘Object’ of Historical Research,” Scottish Journal of Theology 36 (1983), 312, 318-20. Rowan Williams, Resurrection: Interpreting the Easter Gospel (London: Darton, Longman and Todd, 1982), 97, 117-19. John Alsup, (The Post-Resurrection Appearance Stories of the Gospel Tradition: A History-of-Tradition Analysis with Text-Synopsis, Calwer Theologische Monographien 5 [Stuttgart, Germany: Calwer Verlag, 1975], 55), 274. Reginald H. Fuller, The Formation of the Resurrection Narratives, rev. ed. (Philadelphia: Fortress Press, 1980), 47-49, 181. Jacob Kremer, Die Osterevangelien-Geschichten um Geschichte, 2nd ed. (Stuttgart, Germany: Verlag Katholisches Bibelwerk, 1981), esp. 153-55. Ben F. Meyer, The Aims of Jesus (London: SCM Press, 1979), 60. John Meier, A Marginal Jew: Rethinking the Historical Jesus, 3 vols. (New York: Doubleday, 1987-2001), 3:70, 235, 252. P. Sanders, The Historical Figure of Jesus (London: Penguin Books, 1993), 10-13, 278-80. N. T. Wright, “Christian Origins and the Resurrection of Jesus: The Resurrection of Jesus as a Historical Problem,” Sewanee Theological Review 41 (1998): 118. Joseph Dore, “Croire en la Resurrection de Jesus-Christ,” Etudes 356 (1982), 532. Francis Schussler Fiorenza, “The Resurrection of Jesus and Roman Catholic Fundamental Theology,” in The Resurrection, 238, 243-47. Gerald O’Collins, Jesus Risen: An Historical, Fundamental and Systematic Examination of Christ’s Resurrection (New York: Paulist Press,1987), 118-19. William Lane Craig, Assessing the New Testament Evidence for the Historicity of the Resurrection of Jesus (Lewiston, N.Y.: Edwin Mellen Press, 1989), esp. part 3. John A. T. Robinson, Can We Trust the New Testament? (Grand Rapids, Mich.: Eerdmans, 1977), 120-27. Philip Jenkins, Hidden Gospels: How the Search for the Historical Jesus Lost its Way (New York: Oxford University Press, 2001), 78. Michael Grant, Jesus: An Historian’s Review of the Gospels (New York: Scribner, 1977), 176. John Drane, Introducing the New Testament (San Francisco: Harper and Row, 1986), 101-4. Charles Austin Perry, The Resurrection Promise (Grand Rapids, Mich.: Eerdmans, 1986), 4. Lindars, “Resurrection and the Empty Tomb,” in The Resurrection of Jesus Christ, 127. Pinchas Lapide, The Resurrection of Jesus: A Jewish Perspective (Minneapolis: Augsburg, 1983), 125-28. David Samuel, “Making Room in History for the Miraculous,” Churchman 100 (1986): 108-1 0. Hansjurgen Verweyen, “Die Ostererscheinungen in fundamentaltheologischer Sicht,” Zeitschrift fur Katholische Theologie 103 (1981): 429. Thonvald Lorenzen, Resurrection and Discipleship: Interpretive Models, Biblical Reflections, Theological Consequences (Maryknoll, N.Y.: Orbis Books, 1995), 123, 130-32. Donald Goergen, The Death and Resurrection of Jesus, vol. 2 of A Theology of Jesus (Wilmington, Del. : Michael Glazier, 1980), 127-28, 261. William P. Loewe, “The Appearances of the Risen Lord: Faith, Fact, and Objectivity,” Horizons 6 (1979): 190-91. Howard Clark Kee, What Can We Know about Jesus? (Cambridge: Cambridge University Press, 1990), 1-2, 23, 86, 113. Ben Witherington III, “Resurrection Redux,” in Will the Real Jesus Please Stand Up? A Debate between William Lane Craig and John Dominic Crossan, ed. Paul Copan (Grand Rapids, Mich.: Baker Books, 1998), 131-32. John Pilch, “Appearances of the Risen Jesus in Cultural Context,” Biblical Theology Bulletin 28 (1998): 59. Adrian Thatcher, “Resurrection and Rationality,” in The Resurrection of Jesus Christ, 180. Traugott Holtz, “Kenntnis von Jesus und Kenntnis Jesu: Eine Skizze zum Verhaltnis zwischen 48 Chapter One historisch-philologisher Erkenntnis und historisch-theologischem Verstandnis,” Theologische Literaturzeitung 104 (1979): 10. Peter Stuhlmacher, Was geschah auf Golgatha? Zur Heilsbedeutung von Kreuz, Tod und Auferweckung Jesu (Stuttgart, Germany: Calwer Verlag, 1998), 58-64. 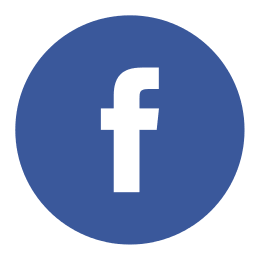 This entry was posted in Apologetics, Historicity, New Testament, Resurection, Uncategorized and tagged Eruditos, habermas, Lista eruditos habermas, minimal facts, Que dicen los eruditos, Sources.